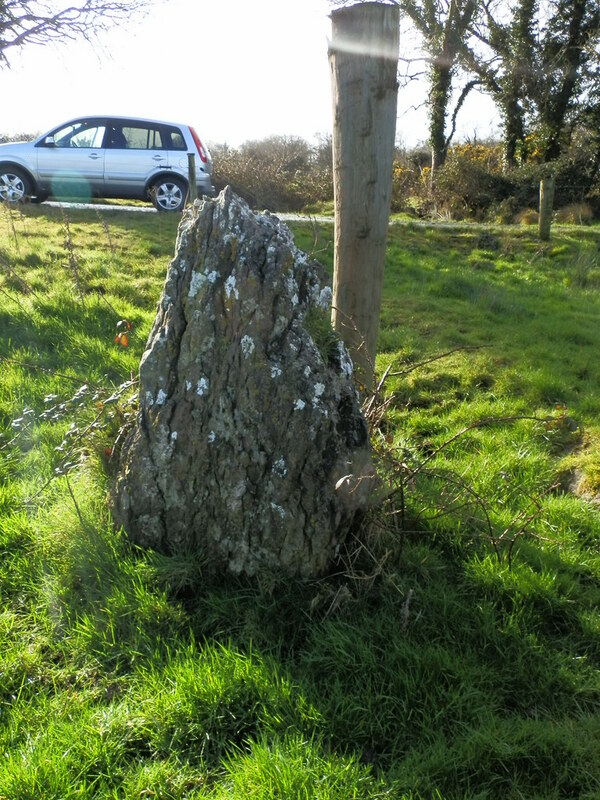 The Standing Stone: Ballycuneen, Standing Stone, Co. Clare. 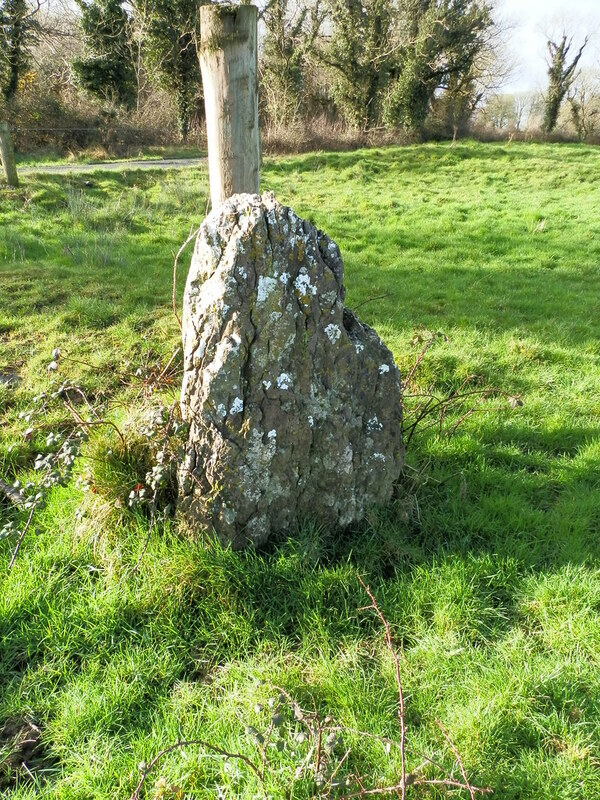 Ballycuneen, Standing Stone, Co. Clare. 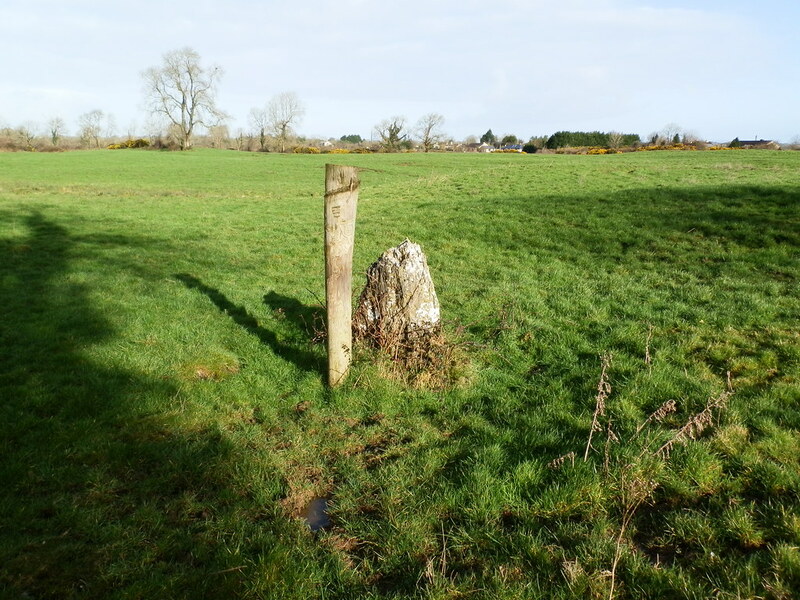 Location – About 1km from Shannon town this stone is located next to a little track-way. You can drive right up to it but turning around is the hard part so I would recommend parking on the road and walking the 100m to the stone. 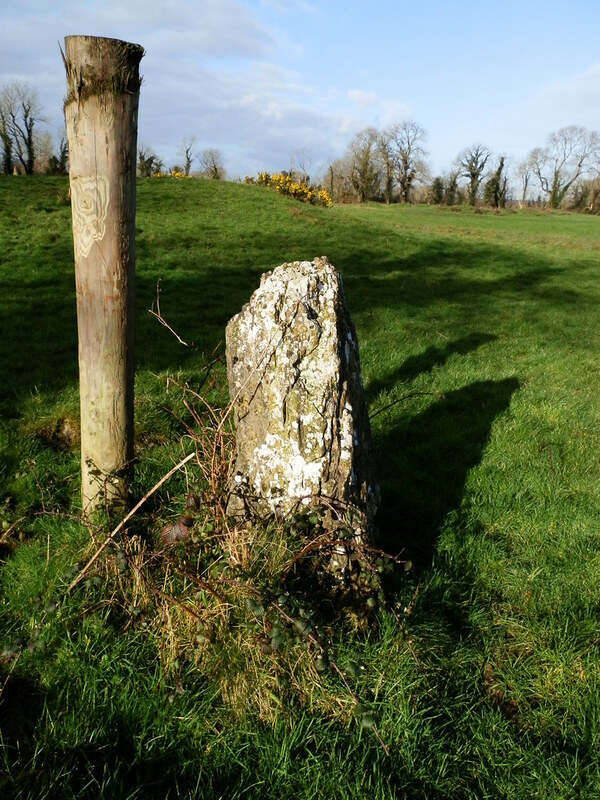 Description and History – The stone is badly eroded and about 80cm tall and aligned E-W. I had no idea what to expect here and was a little disappointed to find such a small stone but I was even more disappointed to see a wooden stake driven into the ground right next to it. I’m sure this has an impact on the stone which can’t be good. Difficulty – Easy enough to find. For more sites in Co. Clare, click here. 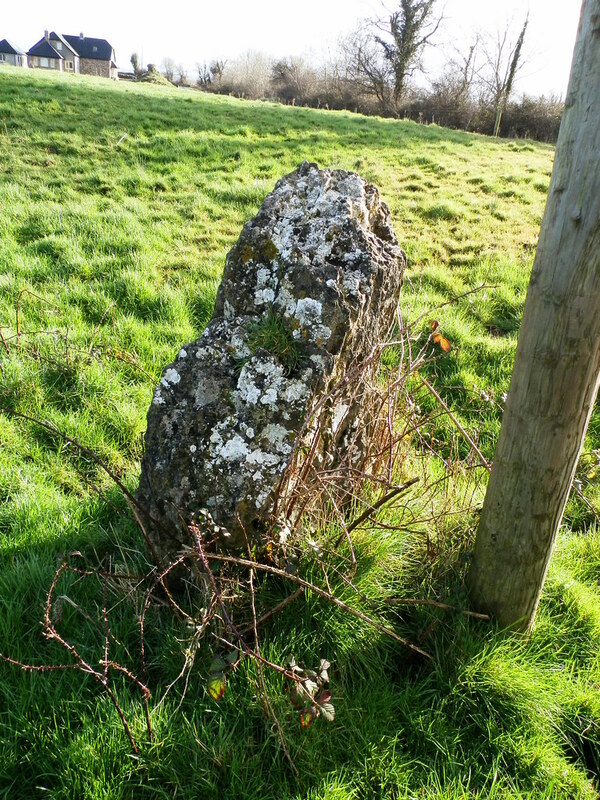 It's not a large stone as can be seen.